A writer and adventurer will forsake Christmas with her family to sleep out on Britain’s three national highest peaks to raise cash for the homeless. Phoebe Smith will sleep on Snowdon, Scafell Pike and Ben Nevis on successive nights over the festive period to help rough sleepers. 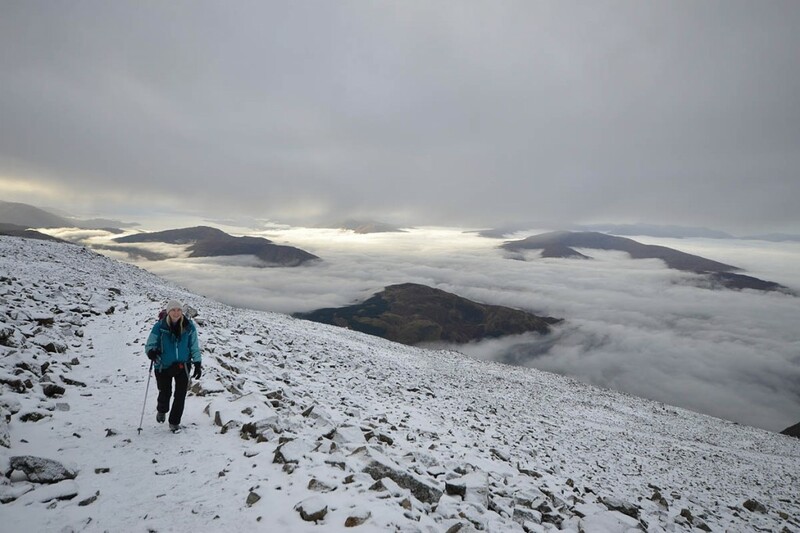 Her Sleep the Three Peaks for Christmas venture has a target of bringing in £5,000 for the Centrepoint charity. The writer said: “I love sleeping in wild places, but I am very aware that I’m privileged enough to do this for fun whereas many young people don’t get the choice. “So I’ve decided to give my Christmas up this year. No tree, no dinner, no bad TV and no time with the family. Instead I’ve decided to Sleep the Three Peaks for Christmas – by myself – to raise money for the homeless charity Centrepoint. “Up to 16,000 people between 16 and 25 will be at risk of homelessness over Christmas through no fault of their own and during the festive season it’s all too easy to get caught up in everything in our own lives and forget these people. 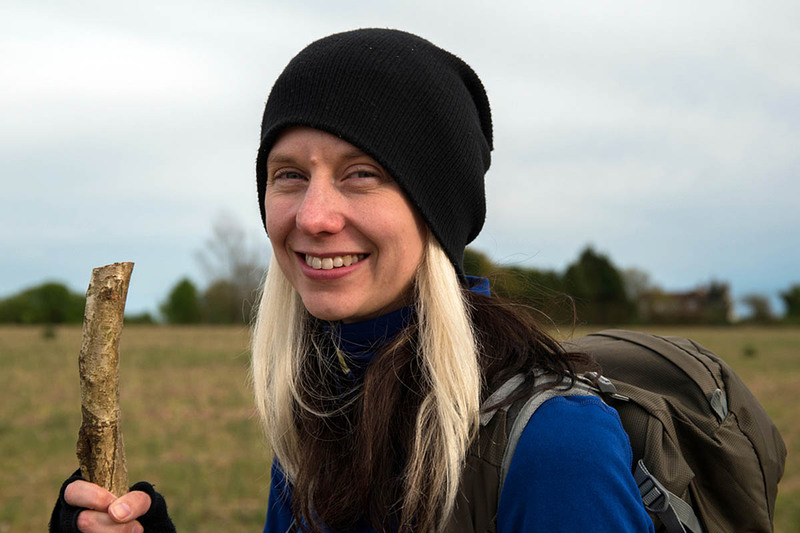 She hopes to be live on BBC Breakfast on Christmas Day, signal permitting, and is also hoping for national newspaper coverage for her adventure. She will also be Tweeting and posting on Instagram during the Sleep the Three Peaks for Christmas event. Ms Smith has set up a justgiving page to raise funds for Centrepoint. At the time of writing, she had was about a fifth of the way towards her target amount. My missus will also be forsaking Christmas with her family. She's a midwife and is working on Sunday and Monday. If anyone fancies donating, I'll ask her if she can set up a justgiving page, I doubt she'll be on BBC Breakfast though. I imagine it would be more of a challenge if Ms Smith gave up Christmas and slept on the streets for three nights. not too much of a hardship for Ms smith anything that raises public awareness to the plight of young homeless people can not be a bad thing. I assume she is giving up her own time over this christmas period not being paid to go to work and do her job. I think the above are unnecessarily critical opinions. No-one doubts the dedication of those who work in heath care and have to work over Christmas. I myself had a Christmas baby a number of years ago and am incredibly grateful for the medical team who enabled a safe delivery. However, this is a clever way of drawing attention to a very worthy cause and in my opinion there's no need to look down on it. Why shouldn't someone use their skills and profile for charity? Have a good time Phoebe! It is better to be an actor on the stage than a critic in the audience. Good luck Phoebe, and i hope you raise loads of money for Centrepoint. "I assume she is giving up her own time over this christmas period not being paid to go to work and do her job"
you assume? ...it wouldn't be very charitable if she were getting paid now would it? Another publicity stunt from Ms Smith. Instead of getting money out of people for you doing what you enjoy just give the relevant charity some money and say nothing. I`ll be interested to see how she gets on. Phoebe will need some good gear to get some warm sleep. I have done these Peaks in 24hrs; the travelling is the worst part. I guess she will not be alone in that part. Now that she's advertised what she's doing and when she's doing it, perhaps the police should wait somewhere to catch her speeding which is required to do this ridiculous challenge. Perhaps those with the negative comments would like to share some more "worthy" suggestions on how to raise awareness and money for charity. Trouble is at 70 mph on the motorways you will be passed all the time. The temptation to gain time for the climbs is also very appealing. I did the Thames Path this year and there is a short road stretch (2mls) there where the guidebook advice is to get the bus or taxi as there is little verge and blind bends; the speed limit is 6omph. I walked on the very small verge available part of the way. The problem is not so much 60 mph it is that a lot are doing 80mph and you have to keep you wits about you. If she is doing all 3 in 24 hrs, then yes speeding is likely to be involved. She isn’t. She is visiting Wales on Friday, Lake District on Saturday and Scotland on Sunday, with an overnight sleep on each one. She isn’t doing all 3 in 24 hours. Hope she doesn’t read these comments. She’ll wonder why she is bothering!!! Actually, I admire Ms Smith's sentiments and applaud the cause. What did make me uncomfortable was the phrases like 'forsaking Christmas', 'no tree, no dinner', and 'no time with the family' as though this isn't the norm for thousands of families every year! I agree. A publicity stunt. Of course it's a publicity stunt, she raising awareness. Fair play to her. Honestly, there's some right miseries on this website. Surprising considering you'd think the people who visit this site spend a lot of time outdoors. Luckily for her as opposed to most homeless people she will no doubt have a warm sleeping bag, change of clothing, hot food and a roof over her head. She will also have the enjoyable prospect of going back to her home straight afterwards. Lets just hope she will be giving up a cut a of her book sales, speaking and presenting engagements from now on. "Charidy" is great when it's truly altruistic but when the reality is self promotion, it sticks in the throat. Perhaps she could spend 3 nights working in a homeless shelter or sleeping rough on the streets of a major city like London or Manchester instead. A publicity stunt ? Maybe, but she wouldn't raise much money or attention for the cause without publicity! I wonder how much the miserable buggers above do for others? Good luck Phoebe, hope you have a great time. I am interested to hear how Phoebe got on and the gear she used. I am not on Instagram or buy newspapers. If it gets on the net I probably will see it.I would appreciate information on Grough. The weather is not going to be a favourable and snow on Snowdon and Nevis present; certainly no picnic up there. The weather report I see for Ben Nevis might stop the attempt, solo might not be a good idea. The point being made is that this is more likely to benefit Phoebe than Centrepoint. Centrepoint will hopefully/probably gain £5K from this. Phoebe is benefiting from all of the publicity. I don't think it is about being miserable or unsupporting - £5K is a decent chunk of money - BUT - lets not blow this out of proportion. It is self-serving PR. When you have sponsors to keep happy, books to sell - and therefore need media publicity this is a great stunt. Clearly, you have indeed missed something. raising 5k for charity is her way of trying to fool people into thinking she's in this just to do good for others. 5K is nice but I suspect that's just an aside for Pheobe. As others have said it's a PR stunt and the person who'll gain the most is Ms Smith herself. So much for the season of good will, baa-humbug. I don't understand why she'll be forsaking Xmas day, Xmas lunch etc assuming she's probably well down from Ben Nevis by mid morning? ?